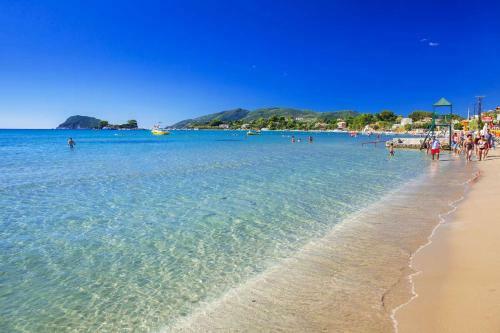 Marabou Beach Apartments is located next to the beach in Laganas, Zakynthos. The hotel common facilities include bar, garden	and restaurant. The kids will enjoy the games room. The property accommodates visitors in family room, apartment and other might be available upon request. The rooms provide sea view. Room amenities include a/c, tv, fridge and more. Public areas of the hotel are covered by free Wi-Fi.